Buy & Sell with Ease, Hire a Realtor! With so much information at the ready on the Internet, Clients first question usually is, “Why should we hire a real estate agent?” Why pay someone to sell your home when so many marketing tools are available to do so yourself? Some people succeed with “FSBO”, or For Sale By Owner, and many do not. Here are 5 reasons why you should hire a local real estate agent. Consider them carefully, and then make your decision after you have done some research. It will be worth it in the end. Agents know the area. They know what neighborhoods are hot and closest to the nearest parks, and which ones are hiding behind the red veil. In addition to pointing you in the right direction on where to find more info on crime, demographics, or schools, they can also identify comparable sales & hand these facts right to you. Contrary to what some people think, agents do not select prices for sellers or buyers. However, agents will most certainly help guide their clients to make the right choices for themselves. Sellers will ask buyers to weigh all data supplied to them and to choose a price. Then based on market supply, demand and the conditions, the agent will come up with a negotiation strategy. 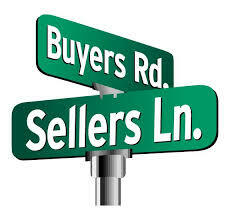 Many factors will determine how you will proceed through you selling or buying process. Real estate agents can disclose market conditions such as data like the average per square foot cost of similar homes, median and average sales prices, among other things. These facts will have a huge bearing on what you ultimately decide to do. Tip producing agents negotiate well because, unlike most buyers & sellers, they can remove themselves from the emotional aspects of the transaction. As well as they are skilled in their job. Getting you the best deal is their number one priority. Great agents are not just messengers, they are professionals who are trained to present their client’s case in the best way possible and agree to hold your private information just as such. One-page deposit receipts were prevalent in the early 70’s. Today’s purchase agreements run about 10 pages or even more. This does not even include the federal and state- mandated disclosures needed to complete the process. Save yourself the headache, because one tiny mistake or omission could land you in court or cost you thousands of dollars. Consider wisely and carefully, and stay local. Here at The Powell Group, we care about you. We want to make you happy and get you the best bang for you buck, as well as gaining trust in a new relationship with our clients, to treat all as family.